Aggie faculty and students united on Tuesday, Nov. 11 in honor of those who have risked their lives in combat. 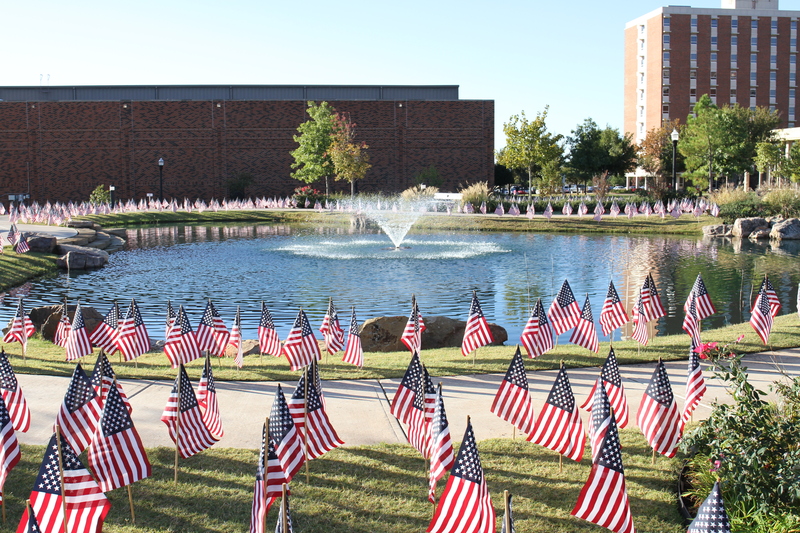 Cameron University honored Veterans Day with a variety of events to recognize all members, both active duty and retired, of the armed forces. These events began at 11:30 a.m. in Shepler Cafeteria for a free meal for the armed forces members. To begin the Veterans Day ceremony, which was held at 1 p.m. in Veterans Grove, those attending joined together for a moment of silence. The moment of silence was immediately followed by National Remembrance Roll Call, comprised of the list of names of those who lost their lives since last Veterans Day. President John McArthur accompanied Major General John G. Rossi, Commanding General for Fires Center of Excellence and Ft. Sill. The ceremony continued with a presentation of the flags by CU’s color guard. The time in Veterans Grove was used to honor and reflect on those who served the country. Cameron also featured its flag display for the fifth year in a row. Former Vice President Jennifer Holland helped during flag placement on Nov. 6. Holland commented on the importance of the flags and how the planting process for the flags happens. A total of 6,889 flags commemorated the memory of those who served and lost their lives in combat. 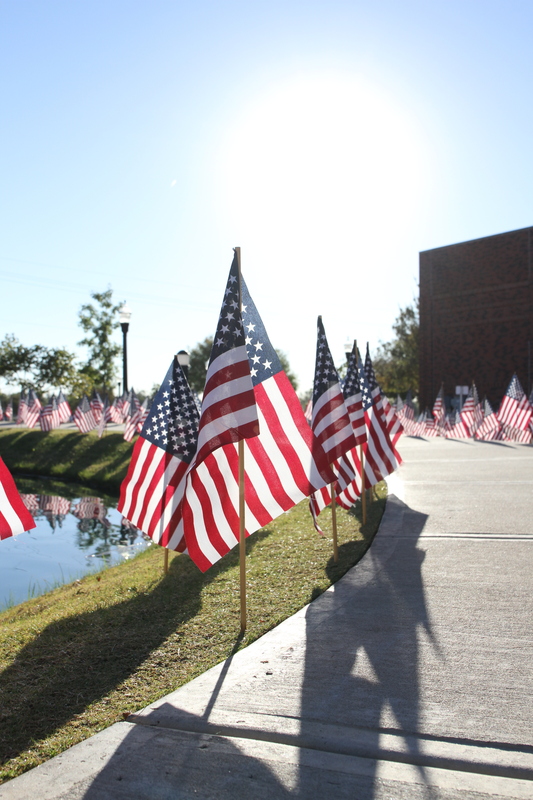 The flag display was almost campus wide, covering parts that included the Bentley Gardens, Graybill Courtyard and Veterans Grove.